Autumn is fast approaching so it's time to get the key pieces into your fall wardrobe. I'm teamed up with Style Compare and Jane Norman to celebrate the launch of Jane Norman on Style Compare. I got to style some of their new pieces for a cool autumn look. I went for something I knew I would be able to wear over and over. 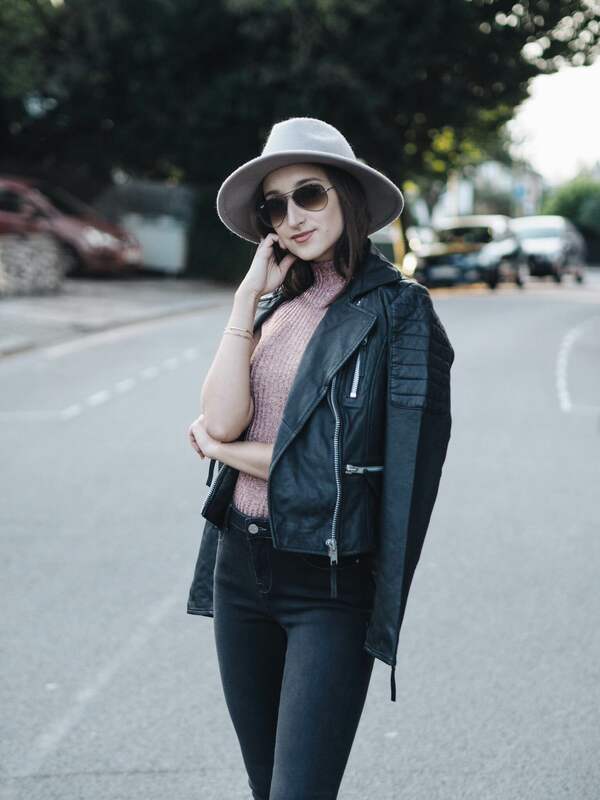 This black leather jacket is definitely a must-have in your wardrobe on the colder seasons as it goes with absolutely anything. I paired it with a pair of soft skinny jeans and a metallic rib top to add some colour to my look. On to the good news for my readers, Jane Norman and Style Compare would love to give you guys the chance of winning a £100 voucher to spend at Jane Norman. All you have to do is sign up to Style Compare with the promo code GABRIELEGZ and add 5 of your favourite items to the wish list. Good luck guys and let me know if you've entered!